Saved Ads (0) Compared Ads (0) "" ""
Is this car for me? Want a large 7-seater for less than 50 Grand? Like all Mitsubishi SUVs, this one also doesn't shy off rough surfaces. The prices provided by Karrenn might vary at any given time. It is recommended to refer to the dealer for a final quotation. The dealer holds the right to modify the prices and specs at any given moment and without prior notice. This car is for you if: You’d like to drive on and off the road while carrying 7 people around. The Montero Sport is off-road oriented and has decent capabilities in this department, it’s apparent because of the related features it offers. The rear end is polarizing, some people love it, some hate it, and we’ll leave that judgment to you! Note that the Montero Sport was an icon in the past, but we didn’t get the chance to experience this one yet, which is why we can’t tell you the good and the bad yet. Let us know if you’d like us to test-drive it. You can access the catalog here to get to know the options better. Verdict: As for the ad, some of the specs are mentioned in small letters in the bottom right corner, and the price excludes VAT and Registration. 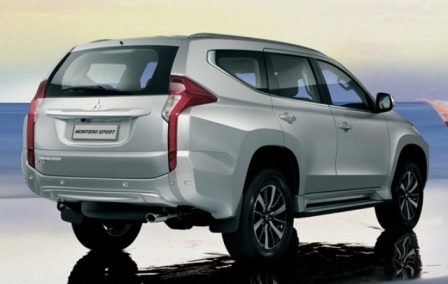 The all-inclusive price for the Montero Sport is $7,400 higher than the ad price. So what do you think about the rear end? Join our Karrenn community to get access to the latest ads , news and much more !